The Fallout Shelter Sign is a sign of the past that is slowly disappearing from our urban setting. The sign marks the locations that would shelter 50 persons or more incase of a nuclear attack. The attacker at the time was the USSR and the US was full of fear. The Cold War was started shortly after WWII as the nuclear capabilities on both side continued to grow. 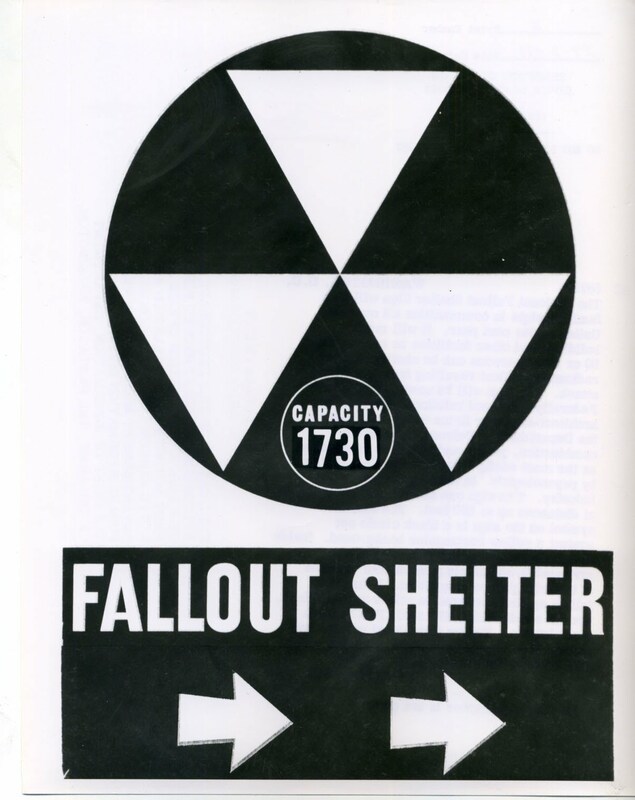 The Department of Defense came up with the Fallout Shelter program in 1961. This sign was posted on thousand of building from schools, to churches to public buildings. 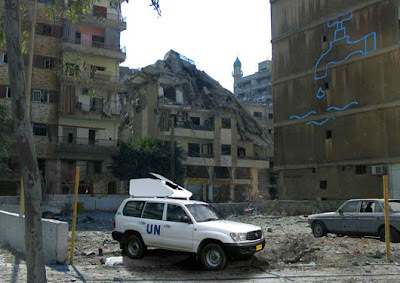 Supplies where placed in the basements of these building to help those who survived if the worst ever happened. Thankfully the worst did not happen at the time. The program was designed by Robert W. Blakeley, Blair, Inc and Bob Schoonover. 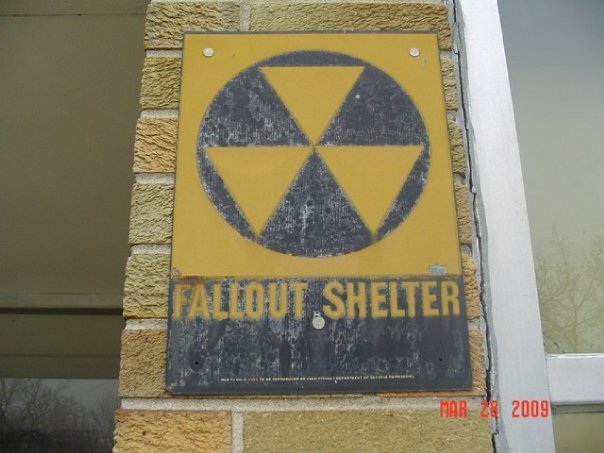 The National Fallout Shelter Sign will be a familiar sight in communities all over the United States next year. It will mark buildings and other facilities as areas where 50 or more persons can be sheltered from radioactive fallout resulting from a nuclear attack. The sign will be used only to mark Federally-approved buildings surveyed by architect-engineer firms under contract to the Department of Defense. The color combination, yellow and black, is considered as the most easily identified attention getter by psychologists in the graphic arts industry. The sign can be seen and recognized at distances up to 200 feet. The shelter symbol on the sign is a black circle set against a yellow rectangular background. Inside the circle, three yellow triangles are arranged in geometric pattern with the apex of the triangles pointing down. Below the fallout symbol, lettered in yellow against black, are the words FALLOUT SHELTER in plain block letters. Yellow directional arrows located directly underneath the lettering which will indicate the location of the shelter. Read a very complete history of the sign and program at this link by Bill Geerhart. 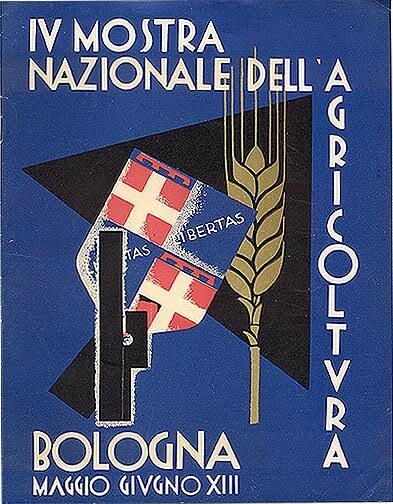 It is a fascinating history of an implimentation of this national program. So you see these posting all over California on the outside of buildings as you enter. They are there due to a state law. Does it mean we all are going to die just by going to work? California really has some strange laws that is for sure. Yesterday, at the Art Institute of California - Orange County, we had the privilege to have the great Milton Glaser join us for an interview via Skype. The wonderful Wendy Keys' film on Milton was shown first, Milton Glaser - To Inform and Delight then Milton came live from NYC to answer questions from the students. Milton was the scholar, educator, and professional I have come to know in answering a variety of questions. The students where inspired and honored to hear from Milton who was intelligent, humous, and motivating. One moment that touched me was Milton's response on receiving the National Medal of Arts from President Obama earlier this year. Milton stated he was honored by the award, that he felt the President is the right man to do the job at this time and how humble and intelligent he thought the President was. He then went on to say how he really wished his mother could have seen that moment. Milton talked about some current projects he is working on, recommended a book that he had his studio read, and offered words of wisdom. The experience was pure Milton and one I know all who that attended will long remember. My deepest and most sincere thanks to Milton for joining us via Skype. Below are several videos of Milton Glaser's responses. My thanks also go out to xtine burrough for posting these videos on youtube. Q. Who are your favorite illustrators right now? Q. How do you feel about students or professionals who mimic your work? Q. What advice do you have for students? Q. Finally, do you have any parting words for us? The daisy flower is one of nature's beautiful and simple creations. We have all admired the quiet designs of Method in both their labels and shapes, simple and beautiful too. Method has been using a daisy on their products for years and now Clorox has actually received a trademark for the daisy. With this trademark, they have send a cease and desist order to Method. Method is fighting back in a good nature. (Watch the video below) You can read more at the TreeHugger site and read the complete cease and desist letter at Method's Vote Daisy site. 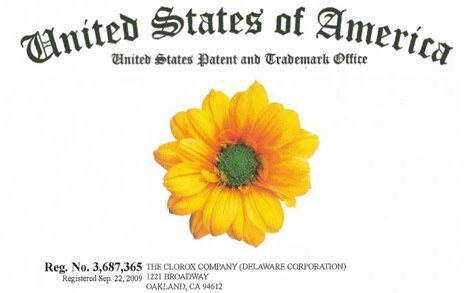 Go vote and lets help keep the daisy a product of Mother Earth. One of my favorite sites, GOOD, has a wonderful article on "Why to Take a Sabbatical". I have long been in favor of taking time off as a way to recharge your creative batteries. You come back fresh perspective on life and work, new ideas that you observe and experience and these will bring new life to your work and lives. The article on GOOD discusses three types of sabbaticals: lateral, generative, and recuperative. 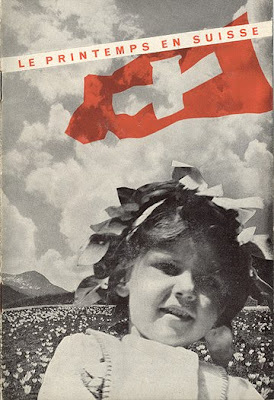 It is an interesting short read. Now to finish up plans for my recuperative summer sabbatical (vacation). Printing on a wall usually comes with many difficult challenges, the Facadeprinter solve those challenges. 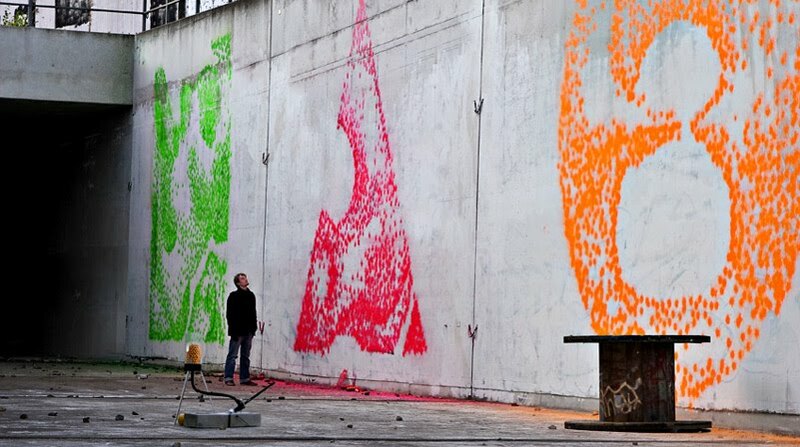 The Facadeprinter is a fun and innovative way to communicate a message on a large scale. The Facadeprinter is a simple, software controlled robot. It consits of a two axis turn table and an airpressure printhead. The printer shoots the artwork from a distanced position dot by dot onto the chosen area. According to this method inaccessible and also uneven surfaces can be printed on. Buildings can be displayed without costly scaffolding. The Facadeprinter is a large scale communication tool. Print- esthetic and method are distinguishly different from conventional print- and advertising tecniques. 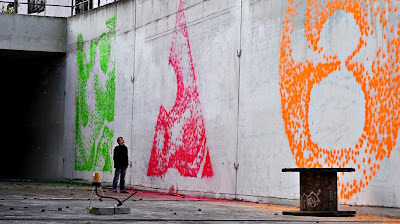 Artworks are applied onto the walls directly, like the drawings of a `magic pen´. At present the maximum print dictance is 12 meters, the maximum print height is arround 8 meters. The shooting frequencey is up to 5 dots per second. The Facadeprinter was designed by two product-designers, Martin Fussenegger and Michael Sebastian Haas in Germany. It has been used in several applications and shows. One interesting application is as a way to mark locations during emergencies for those seeking assistance. I think we will be seeing more of the creative tool in the future for both artistic and informational needs. It is getting to that time of year when one thinks about where to travel for summer vacation. For inspiration from a graphic design point of view, you should check this Travel Ephemera site, travelbrochuregraphics.com. 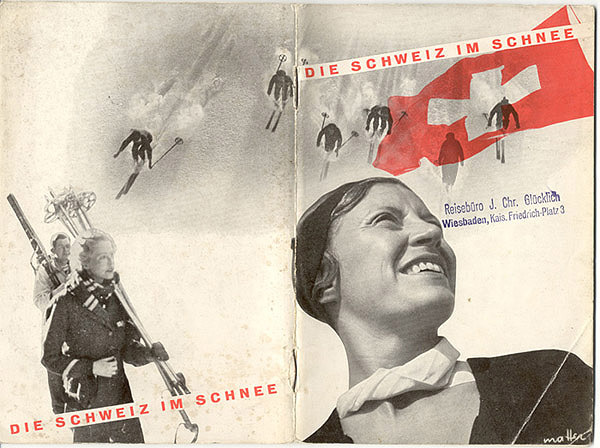 The Travel Ephemera site concentrates on graphic design from the 1920s and 1930s. The site is loaded with wonderful bauhaus and early Swiss designs covering Europe and Asia. Many thanks to David Levine for putting this site together to inspire us all. Happy travels!